Federal officials should take full responsibility for delaying crucial reforms needed to keep vulnerable unaccompanied minors from falling into the hands of human traffickers, sometimes sexually assaulted, starved or forced to work for little or no pay. While good spirited and true Americans have been voicing their concerns, protesting, and making the difference under the social media hashtag #WhereAreTheChildren, the recent news that the federal government has lost nearly 1,500 children they took into custody after they separated them from their parents upon crossing the border illegally, definitely sums up the demoralization and ineptitude of our current administration in their failed attempt to enforce our immigration laws. The Trump administration—desperate to fulfill promises to its base—recently announced a get-tough policy to secure our borders and enforce existing immigration laws, including the very inhumane decision to separate children from their parents. 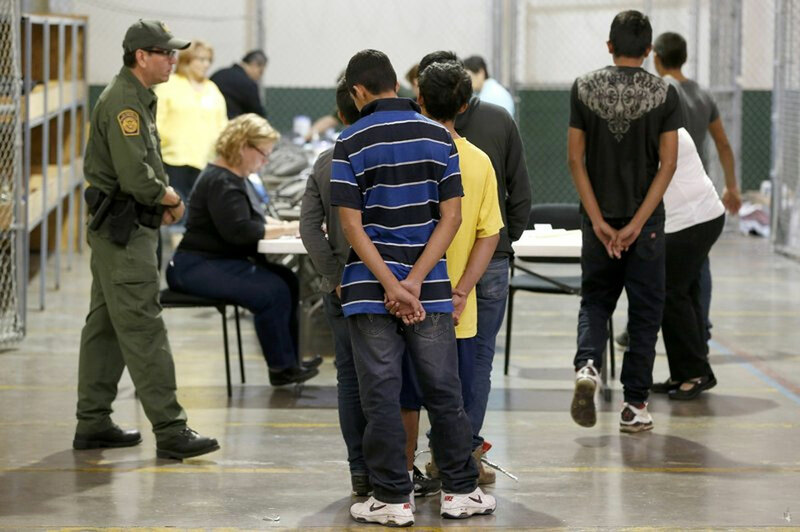 Within 48 hours of being taken into custody children are transferred to the Department of Health and Human Services, which finds places for them to stay. There’s nothing human about that policy this department gets paid to carry on behalf of the American people. It is being reported that the federal government has lost 1,475 minors out of 7,000-plus children they took into custody at the border. Out of those not lost, many have not yet been reunited with their parents or have been returned after more than 6 months their parents were released from prison. At a Senate hearing, Steven Wagner told legislators that the refugee resettlement office he oversees had lost track of nearly 1,500 migrant children. In Wagner’s words, the Department of Health and Human Services’ Office of Refugee Resettlement (ORR) was “unable to determine with certainty the whereabouts” of 1,475 children between October and December. The number of children apprehended while traveling without parents is lower now than it was at its peak in 2014, but the feds at the border have taken more 26,000 unaccompanied minors since October. If the institutions involved are not held accountable, many more than 1,475 children will be lost. The Department of Health and Human Services has limited budget to track the welfare of vulnerable unaccompanied minors and they are failing to take full responsibility for their care. The Trump administration is seeking to criminally prosecute everyone who crosses the US-Mexico border illegally, including parents. This failed “Catch and Separate” policy of this administration under the instruction of President Trump and Attorney General Jeff Sessions is even causing that children end up snared in the human trafficking system going on in this country. As it normally operates, once a child is released to a parent or a sponsor after their biological parents are placed into the criminal justice system, the Office of Refugee Resettlement (ORR) does very little to no follow-up as they no longer have any responsibility for that child. A new population of children who have been separated from their parents who can even end up in the hands of traffickers is a “big deal.” According to a Senate investigation, The U.S. Department of Health and Human Services (HHS) has turned the minors over to human traffickers, who then forced many of them to work in an egg farm in Ohio for six or seven days a week, and paychecks were withheld by the traffickers to pay off smuggling debts. There are cases children are threatened and punished in trailers without heat, hot water, bed or toilets. You can read here the Senate report. Ineptitude, incompetence, and poor morale from those drafting new ordinances are causing a tragic series of missteps and more systemic deficiencies in HHS’s unaccompanied alien children placement process. Action is needed now to correct wrong policies before it is too late to vote out in November those at fault. While the Subcommittee on Immigration and Border Security has jurisdiction over the immigration and naturalization, border security, and admission of refugees, Republicans have a majority, eight versus five Democrats, and they include hardliners the likes of Rep. Steve King who is inclined towards the strictest policies for immigration. Still the numbers 202-224-5444 and 202-224-6991 are the start to voice our conscience.